The girls who come to Hekima Place have experienced profound hardships, traumas, or losses in their young lives. Many have been directly affected by the devastating impact of HIV/AIDS, which is still a huge public health crisis in Sub-Saharan Africa. Approximately 7-11% of the population in Kenya is estimated to be HIV positive, and over two million children in Kenya have been orphaned or are otherwise vulnerable. Hekima Place works with the local county District Children’s Office, so that the children in most urgent need of rescue and care can find refuge with us. We welcome girls of all ages and backgrounds. Some of our girls have been orphaned by HIV/AIDS, while others were forced into household servitude or ended up on the street. 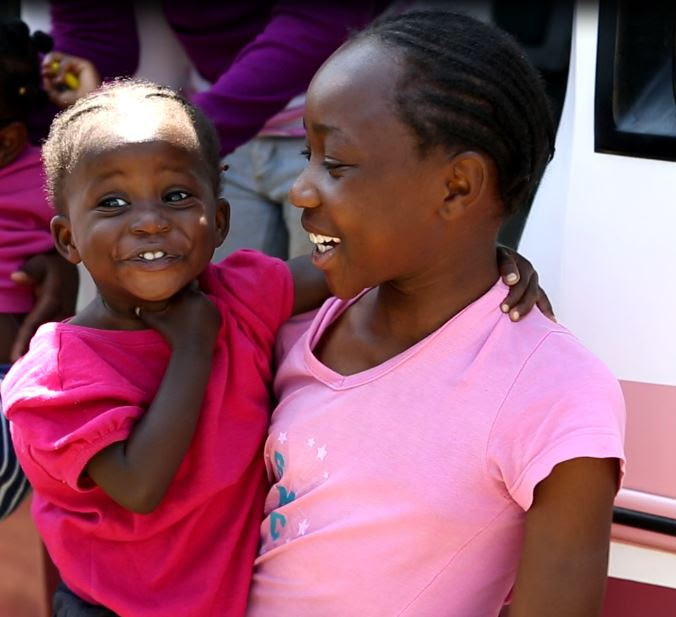 Some children come to us from impoverished informal settlements (slums) in urban areas. In these environments, abuse, neglect, and malnutrition are all too common, especially for children who have lost one or both parents. Other girls have come from rural villages and traditional pastoralist communities, where families often teeter on the brink of extreme poverty and life-threatening illness. In the most traditional communities, girls rarely graduate from eighth grade, and female genital mutilation (FGM) is still commonly practiced. For children to succeed academically and develop emotionally, they must first feel safe, loved, and valued. Our girls are given the love and care they need to grow into curious, confident young women. Our philosophy of consistency and patience, along with high but reasonable expectations, is allowing our girls to thrive–whatever their background or family circumstances. "They need to be fed, and to feel safe, and to feel worth it, before they can ever dream of feeling worthy of love." As of 2013, Kenya is still among the ten countries with the highest number of out-of-school children in the world. Girls are at particular risk of being left behind. In Kenya, girls are much more likely to be illiterate (an estimated 30%, as opposed to 14% for boys) and many will fail to gain admission to high school. These girls grow up at a disadvantage economically, politically, and socially, often for the rest of their lives. Even when girls are able to graduate from primary and secondary school, they continue to face daunting challenges. The unemployment rate in Kenya hovers around 40%, with the informal and unregulated sector representing an enormous percentage of the overall economy. The youth unemployment rate is estimated to be even higher, around 65%, one of the highest in the world. Without an advanced degree or certificate, underprivileged girls in Kenya have little chance of breaking the cycle of poverty. Hekima Place is committed to helping our girls break the cycles of poverty, illness, and despair. We believe that investing in girls is an investment in communities.